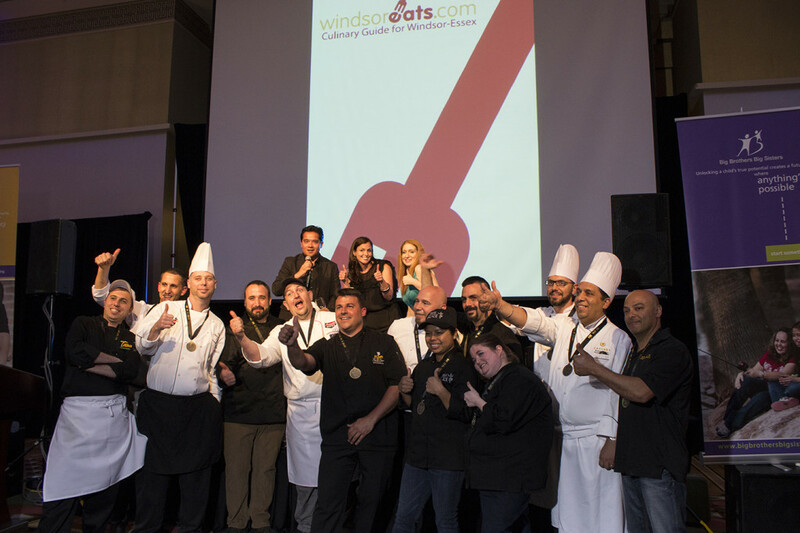 The Big Brothers Big Sisters of Windsor Essex Foundation is excited to announce that tickets are now on sale for the 2017 Battle of the Hors D’oeuvres. The event takes place Thursday, May 18, 2017 at Caesars Windsor. The Battle has been taking place for over 30 years and gives you a chance to play the part of food critic while helping out a great organization. Throughout the night you wander to each station and sample appetizers created by local restaurants and cast your vote for your favourite for the People’s Choice Award. Sweet Revenge Bake Shop will be providing dessert and there will be a beverage tasting with local wineries and breweries. Pina will be one of the guest judges again this year to help choose the winning restaurants for the Critic’s Choice Award. Come as you are after work and enjoy creative cuisine, drinks, and networking in support of youth mentoring programs in Windsor and Essex County. Tickets are $85 each and can be purchased online. All funds raised will support the 9 youth mentoring programs at Big Brothers Big Sisters of Windsor Essex which currently serve over 850 children in our community. Help start something BIG for children in Windsor and Essex County!